Our new camogie team have begun training and are made up of girls from 4th, 5th and 6th classes. They are really looking forward to the league this year after last year's success and we wish them all the best. We would like to especially welcome the new girls to the team from 4th class. Check out the team below with their lovely new training t-shirts kindly sponsored by DublinOrthodontists, College Gate Clinic, 123 Ballymun Road (click on logo below for website). The team are looked after by Ms Miley and Ms Devlin. We would also like to thank Mark and Colin, two of our parents who give lots of time to our teams and help to train them. We had great success with our camogie league this year. The team was made up of girls from 4th, 5th and 6th classes who made it through a tough quarter final which went to extra time to in the end reach the Cumann na mBunscol finals in Croke Park. We're very aware of the huge honour and opportunity it is to get to play here and they had an absolutely fantastic day topped off by a win against St. Helen's Portmarnock. This year was our fourth year having a camogie team and a first camogie win ever for the school.. Saoirse Delaney, our talented captain lifted the shield for the team. Celebrations were enjoyed and we would like to thank parents, students and staff for all their support and good wishes. See the video below for some treasured memories from this year. 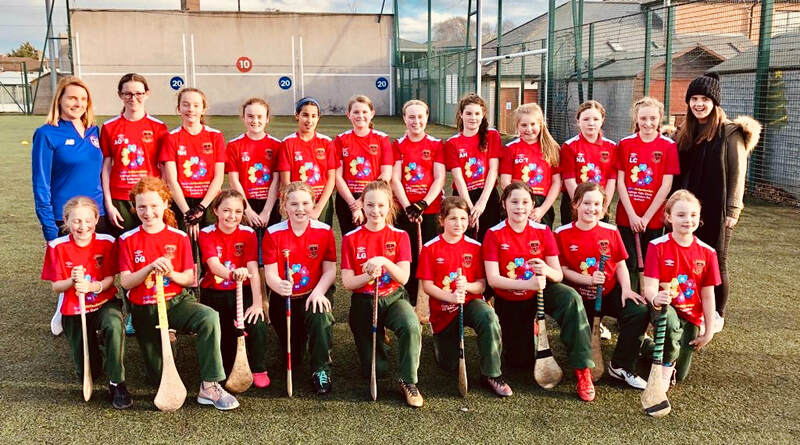 Our new camogie team for this year comprised of 6th class and some new girls in 5th class have just started their Cumann na mBunscol league matches. We won our first game in Na Fianna against Gaelscoil Eiscir Riada and look forward to our remaining games. Thank you to Na Fianna for facilitating our home games and best of luck with the rest of the league. St. Brigid's entered their camogie team in the Cumann na mBunscol league again this year. We had some familiar faces from 6th class and some new faces from 6th class. The girls had a great league and were very unlucky to be knocked out at the semi-final stage. It was a close encounter in the end and while they were very disappointed they really enjoyed the games as as always we were very proud of them. Thanks to Ms Miley for all her work. St. Brigids set up their first camogie team in February of 2014. 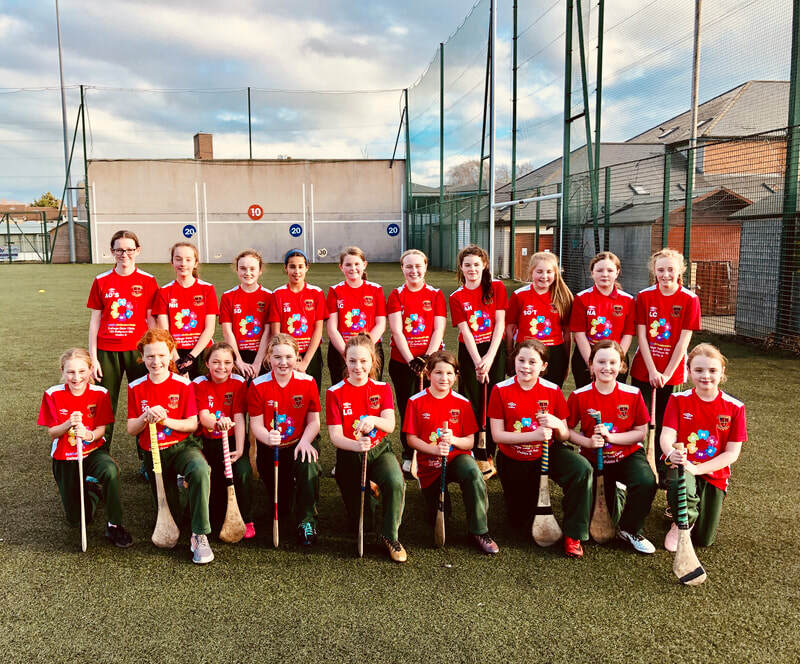 We are delighted to have a camogie team as we have a lot of talented players in the school and we thank Ms Miley for setting it up. The girls entered the Spring Cumann na mBunscol league that year and were very lucky to reach the finals. Well done to St. Brigid's Camogie team who played in the Sciath Nuri in Croke Park on Tuesday 10th June. St. Brigid's only set up their camogie team this year and we are incredibly proud of the girl's efforts and achievements. They worked really hard all through the league and are a wonderful group of girls. On the day, they did their school very proud as always and were very unlucky not to win it. The final score was 3-3 - 2-2 to Scoil Olaf. They had a great day anyway and enjoyed the experience as did their families and our supporters frm 4th, 5th and 6th classes. The team are very grateful to Ms Miley and Ms Devlin for their help and support in starting up this team and getting them so far. Thank you also to our very supportive parents for all their help, to Na Fianna for the use of their pitch for training and matches and to Donal Buggy for his help with the team from the beginning. Click on the following links for match reports and some shots from the game. One of our parents Keith Dixon kindly took some great shots of the team during the game. Keith has helped us out on more than one occasion and it is wonderful to have these special pictures as a memory of the day. Check out his pictures and also some pictures of our fantastic supporters on this slideshow.